In 1993, Diar Consult was invited to participate in an international competition for the design of the clubhouse of Doha Golf Club. The submitted proposal won first prize, and Diar Consult was subsequently appointed as lead consultants responsible for the architectural, structural and MEP services and interior design. The client’s brief stipulated that the design should respect the traditional architectural heritage and culture of Qatar; so, in line with these aspirations, Diar Consult created a design which conjures up the spirit and silhouette of a small old Arabian desert village with its wind towers, domes and open-air courtyards and terraces. Simplicity of planning is maintained throughout to reflect the simplicity of village architecture. Internally, there is an exciting volumetric interplay providing the transition from one activity area to another. The entrance lobby/atrium of the clubhouse is an imposing double volume space, transparent to an external courtyard and the golf course beyond. As the heart of the clubhouse it connects and provides circulation into two wings: food and beverage outlets and viewing terraces to the right, and golfers’ facilities to the left. A sculptural staircase leads from the atrium to an upper-level restaurant and viewing terraces. The clubhouse is located on the most elevated and prominent area of the site which gives it a commanding presence overlooking the golf course. 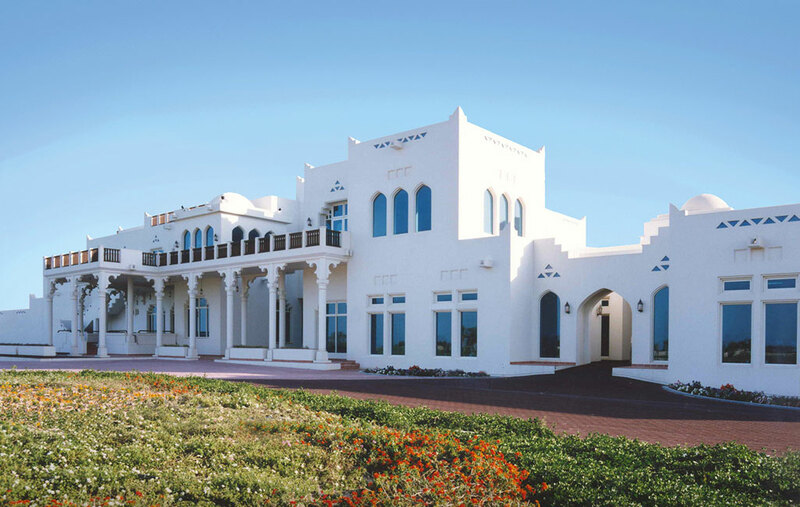 The white façades provide a striking contrast to the surrounding fairways and greens of the 18-hole championship golf course designed by Peter Harradine. 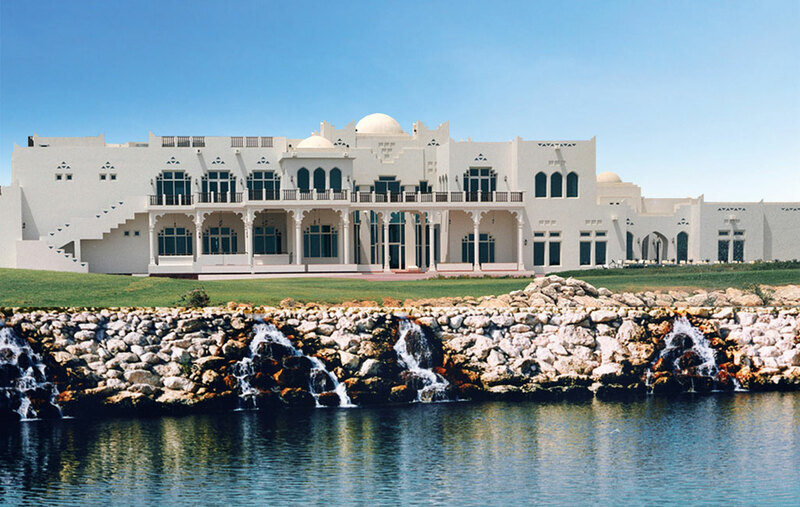 The building was completed in 1996 and, since 1998, has hosted the annual Commercial Bank Qatar Masters, a European PGA Tour Event.